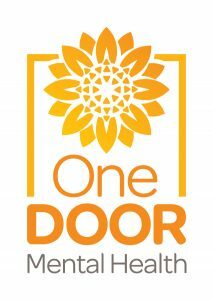 One Door Mental Health is a community based charity providing advocacy, support and innovative services to people with mental illness, their families and carers. We have been doing this, with very limited resources, for over 30 years (previously as the Schizophrenia Fellowship of NSW). Creating a world in which people with a mental illness are valued and treated as equals is at the heart of everything we do. Telephone Referral Information and Support Service One Door operates a support line providing callers with information on mental illness, steps after a diagnosis, carer support, coping strategies, and emotional support. Community education programs on mental illness for school communities, tertiary institutions, corporates etc. giving people with mental illness the opportunity to educate others on what it is like to live with a mental illness from a lived experience perspective. Education and awareness campaigns across the state using radio and television commercials, social media campaigns, information posters and brochures. Advocacy for better services and funding for people with mental illness, their families and carers through the media, presentations, events and direct lobbying. Development of new, innovative services which are driven by the needs of those living with mental illness including day to day living programs, employment, support groups, healthcare, and NDIS support. Research Grants into mental illness, One Door is dedicated to being at the forefront of knowledge about mental illness. As a part of this commitment we have established a Research Trust Fund into the research of schizophrenia. The Research Trust Fund of One Door invites applications from individuals or research teams in the field of psychosocial research in schizophrenia for funding opportunities. The aim of the Research Trust Fund is to provide financial support for research projects examining psychosocial factors and how they relate to schizophrenia; to provide financial support to pilot novel psychosocial treatments in schizophrenia, and to support programs that examine the role of clubhouses in the provision of recovery services in schizophrenia. Sometimes, the change we want to see in the world, takes more than one lifetime. Leaving a bequest is a powerful way to ensure your vision of what the world can be, still has a chance. You can choose to leave your bequest to a specific program of ours, to ensure your donation goes to where you want it to. A little action goes a long way. We know, because unlike any other organisation out there, the majority of our team report having a lived experience – that is, first-hand experience of mental illness or caring for someone who with mental illness. This depth of lived experience means we aren’t just delivering services, we are passionately working to create a better world for people who live with and care for someone with mental illness – for all of us. We know first-hand how precious our resources are and the enormous difference they make. Your gift will make a huge difference. Please consider making a tax-deductible donation. Join us in creating a better world for people living with mental illness. You can support us in a range of different ways. You can decide if your donation goes towards keeping our services going or towards research into schizophrenia.